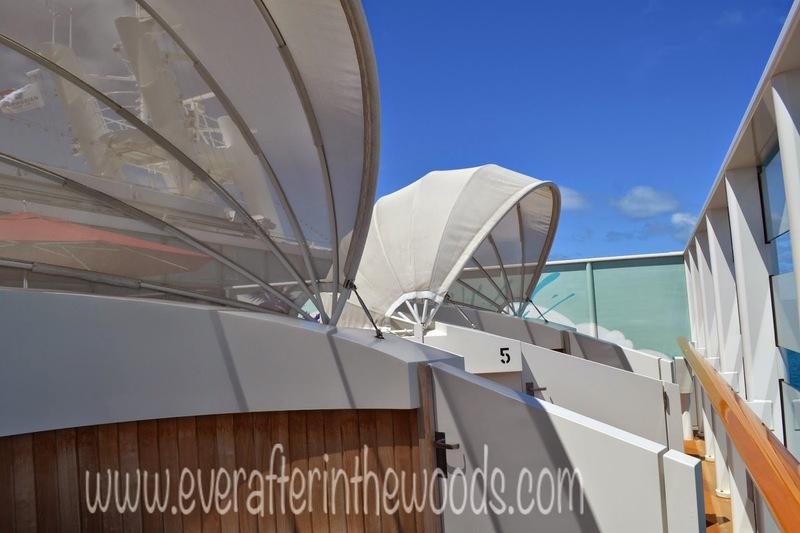 Vibe Beach Club is a must do on the Norwegian Cruise Line Breakaway from New York. 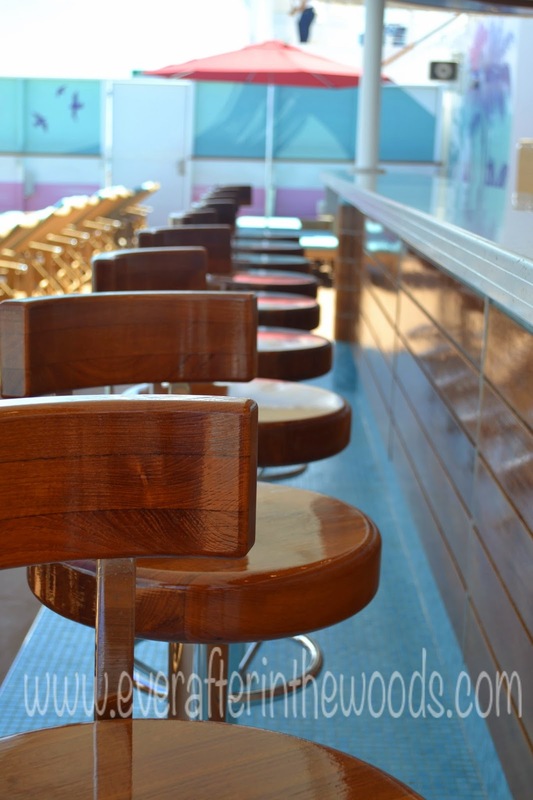 This exclusive club is exactly what you need on NCL Breakaway if you are looking for a little bit of quiet in another wise crazy party on board. 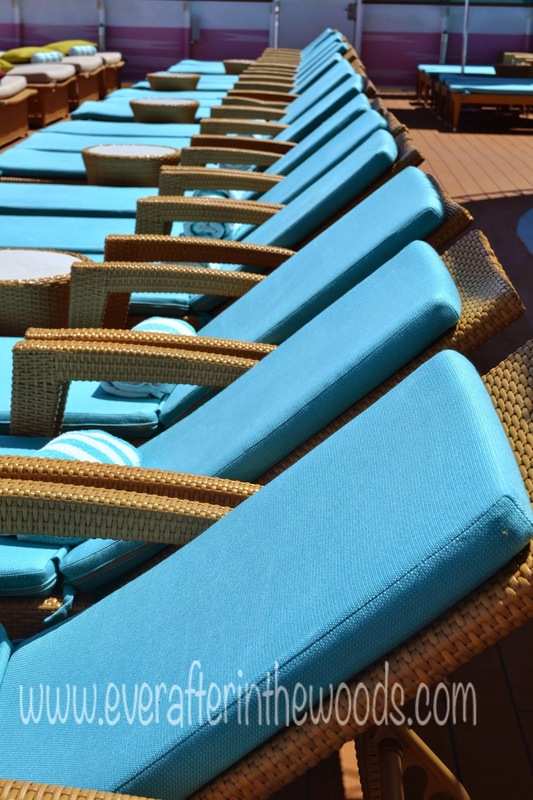 In the Vibe Beach Club there are 5 Cabanas that are available for purchase for the week for $299 and you also receive a $100 onboard credit and entry for two into the beach club for the week and let me tell you it is the best kept secret on the ship! 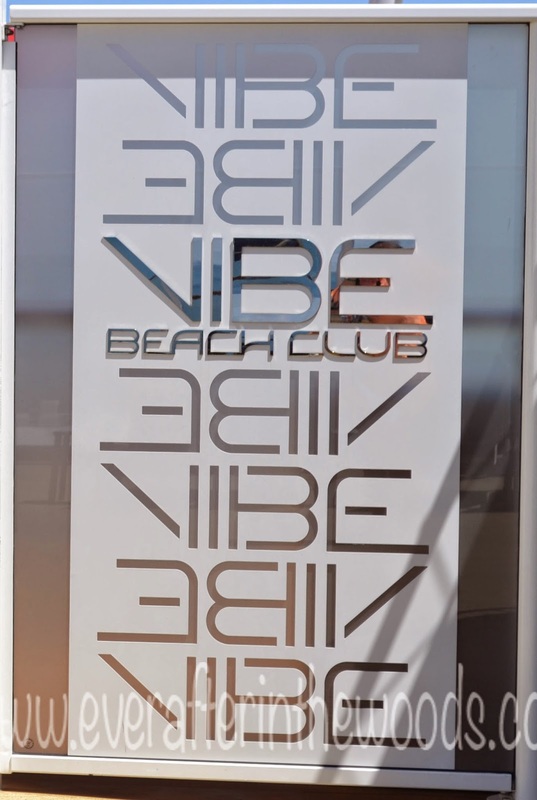 You can also choose to just go into the Vibe Beach Club with a daily or weekly pass. You never have to worry about getting a lounge chair, a drink at the bar, towels, or even a seat in the hot tub. Again WELL WORTH THE MONEY. Like I mentioned earlier you MUST get to guest services onboard the ship AS SOON as you embark. They only give out a small number of these passes and it is a first come, first serve. Do not go to your state room to drop off your bags, do not go and make reservations at the restaurants, do not pass go, do not collect $200… sorry got a little carried away but seriously, get on the VIBE BEACH CLUB line at the guest services desk as soon as you climb aboard the NCL Breakaway. This club is beautiful. It is so well maintained like a well-oiled machine. 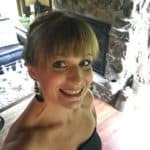 The bar stools are wood, there are beautiful lounge chairs, with pillows and cushions, there are plenty of umbrellas ready for you to use and two hot tubs. There is no pool in Vibe but there is a large shower that you can cool off in. As I mentioned earlier you have your own private bar in Vibe too, so you never have to wait for a drink. If you are lucky enough Leon (our perfect bartender) will be there to greet you with his laid back way, kind smile, and readiness to make you whatever you want in order to make sure you are having a great time. 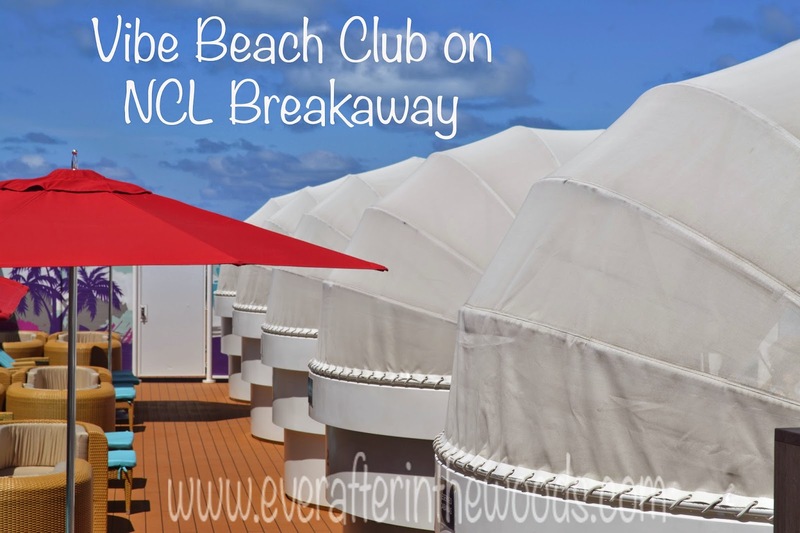 Our cruise on the NCL Breakaway was perfect because we decided to go ahead with our cabana in Vibe Beach Club. It is just one more way the NCL staff and crew want to enhance your stay on their ship. Stay tuned for more travel tips from the NCL Breakaway to Bermuda, you wont be disappointed! 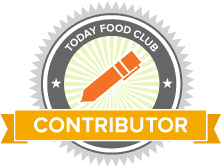 Disclosure: I received no compensation for this post. All opinions are my own and yours may vary.